14ft frame pad for a 4.30 m trampoline. The frame pad protects you from the springs on your trampoline if you fall on them. It is therefore an essential safety component of your trampoline. As soon as you notice that your frame pad is damaged, it is important to change it. France Trampoline’s advantage is that our spare parts fit any trampoline, regardless of the brand. 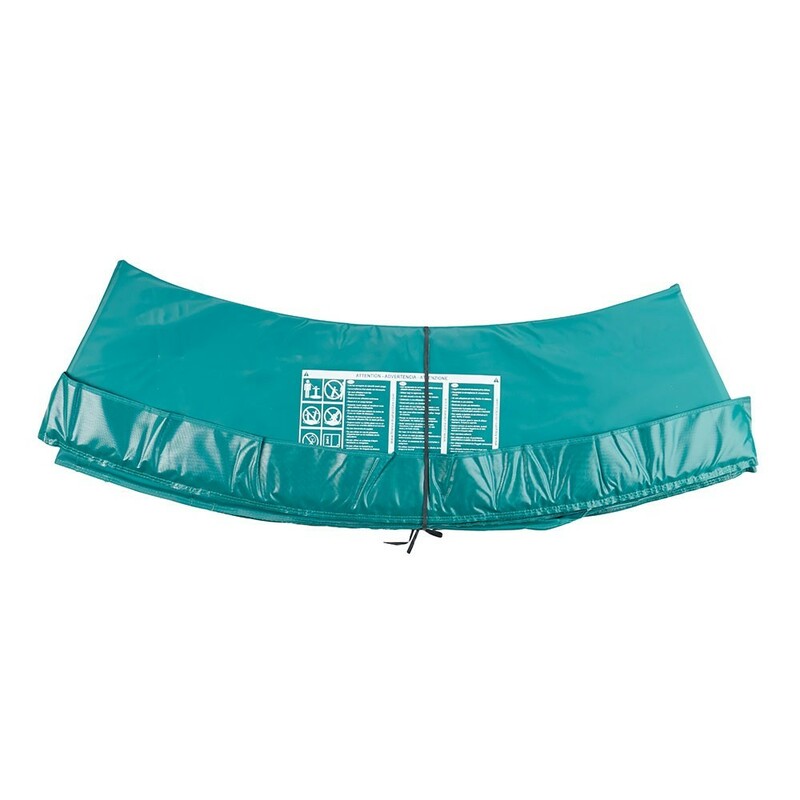 This frame pad has been designed for trampolines with an exterior diameter of 4.30 m and springs of 230 mm in length. 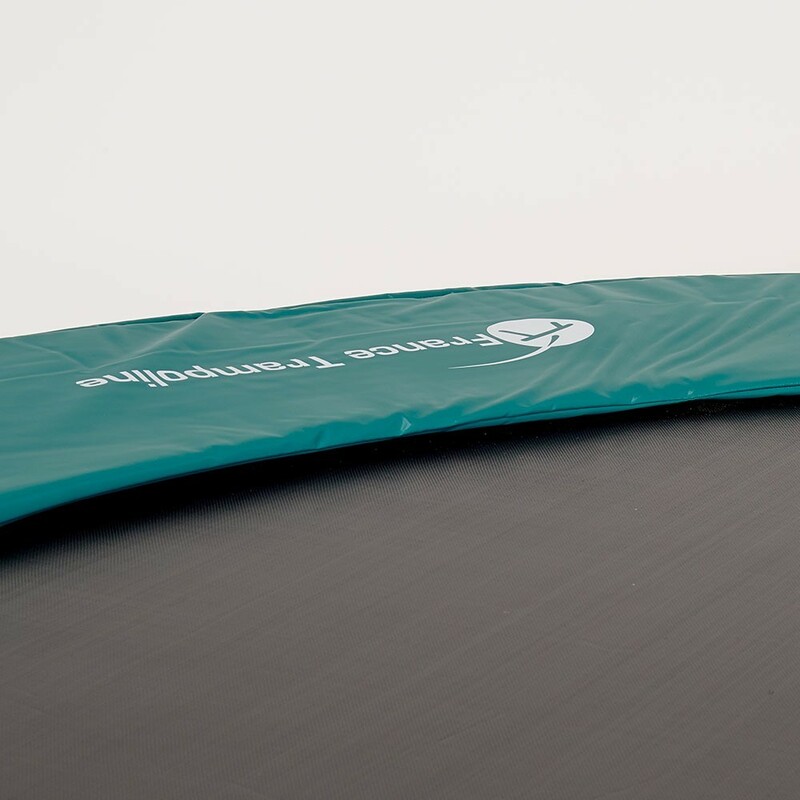 - This Premium frame pad was originally designed for the Booster 430 but can also be used with any other trampoline with the same measurements. Make sure you measure the diameter of your trampoline and the length of your springs carefully before buying the pad. 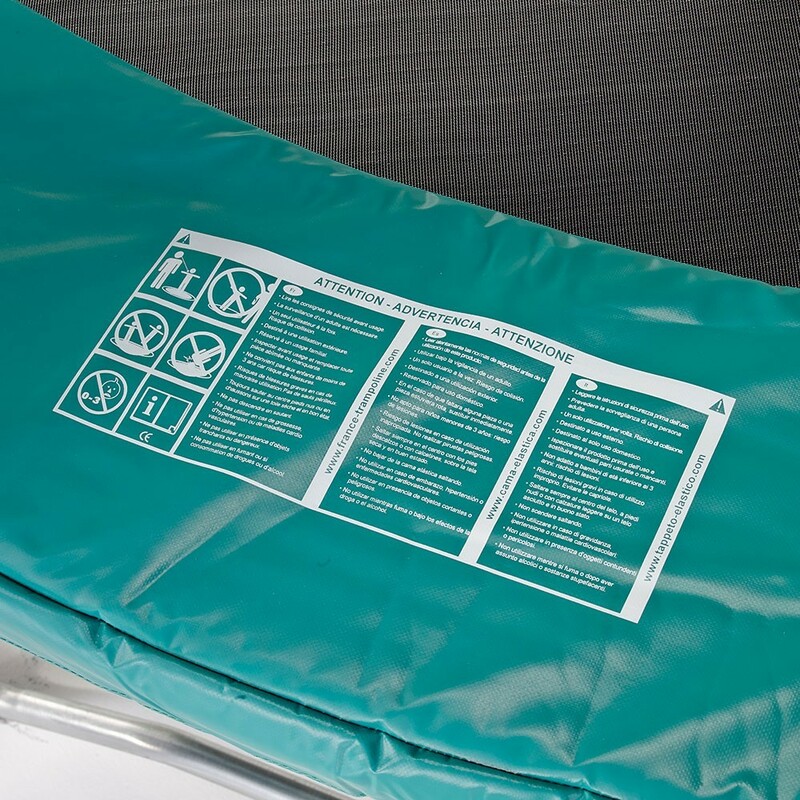 - This Premium frame pad is made of a compact monobloc, expanded polyethylene foam (or EPE). This foam is 30 mm thick but is also shock absorbant and will break any falls effectively and gently. Another advantage is that this foam is waterproof. Thanks to these properties, it will not be sensitive to frost or mould. - Contrary to most frame pads on the market, made from small slivers of fragile foam, our frame pads are made from a monobloc foam which is far sturdier. - We use a technical coating of PVC, which is 0.55 mm thick. This PVC cover has a density of 650 g/m² and is resistant and weatherproof. - The frame pad is held in place using a fixation system made of steel eyelets and black elastic straps. The 32 steel eyelets are placed around the inferior edge of the frame pad and 16 black elastic straps are threaded through the eyelets and then fixed to the metallic framework. 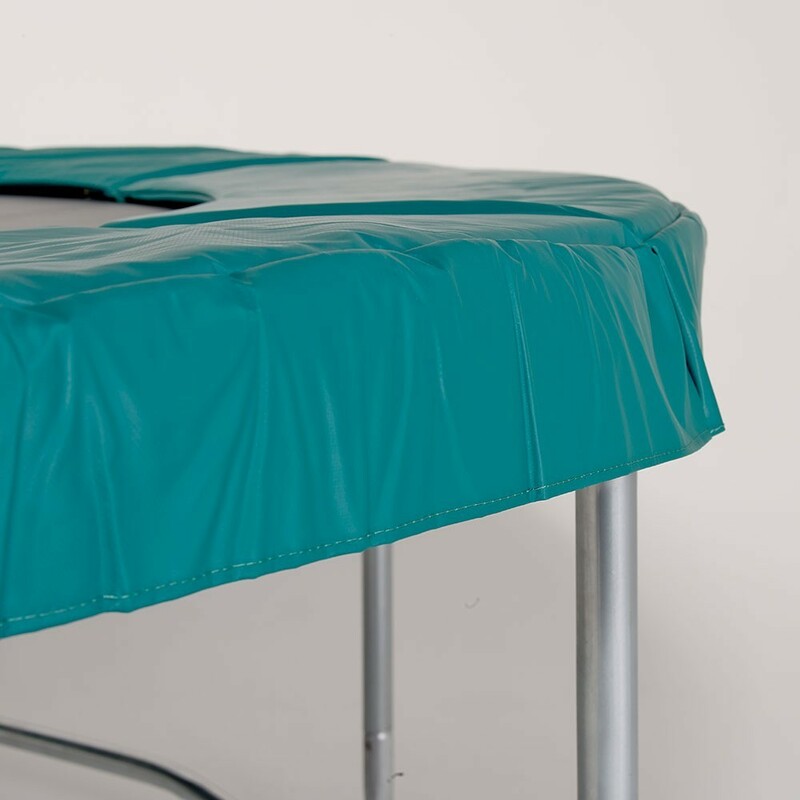 This system gives a certain flexibility when someone is jumping on the trampoline and avoids the PVC cover from getting torn. beaucouo plus facile à installer que le précédent.